This global agreement is an important step forward in protecting public health and the environment from mercury pollution, although some areas of the treaty leave much to be desired. Negotiated over several years and signed at a diplomatic conference in Japan in October 2013, the Minamata treaty sets a phase-out date of 2020 for most mercury containing products—including thermometers and blood pressure devices, and calls for the phase-down of dental amalgam. On May 18th 2017, the world took an historic step forward in the fight against mercury pollution as the European Union and seven of its member States ratified the Minamata Convention on Mercury, thereby exceeding the 50-party requirement for the treaty to enter into force. On 16th August 2017, the Minamata Convention entered into force, obliging countries to no longer purchase mercury thermometers and blood pressure devices by 2020, and to seek to phase-down their use of dental amalgam. An updated list of Parties to the Convention can be found at www.mercuryconvention.org/Countries. HCWH has led the work to substitute these mercury-based medical devices with accurate, affordable alternatives for the past 15 years. 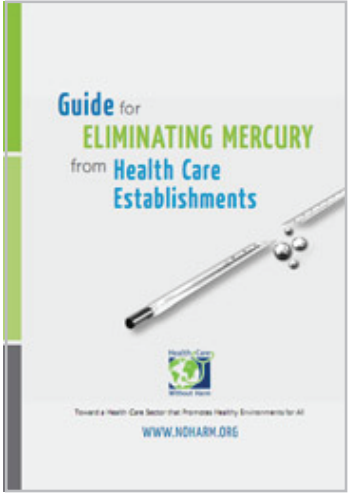 HCWH has worked with thousands of hospitals and health systems, dozens of ministries of health and several United Nations organizations to advance the cause of mercury-free health care, while also successfully advocating for strong measures to phase-out these devices via the Minamata Convention. HCWH worked closely with both the World Health Organization (WHO), and the UN Environment Programme (UNEP) to support the transition from mercury-based measurement devices to digital and other alternatives. From 2008-2014, HCWH and WHO collaborated in a global initiative aimed at demonstrating the feasibility of phasing out of mercury-based thermometers and sphygmomanometers in health care and their substitution with accurate, economically viable alternatives. A component of the UNEP Mercury Products Partnership, the Mercury-Free Health Care Initiative achieved significant success in raising awareness among ministries of health, health systems and thousands of hospitals on every continent that it is possible to develop and implement policies and procedures to make the switch away from mercury. However, the treaty’s strictures on coal fired power plants and artisanal and small-scale gold mining (ASGM) —the two largest sources of mercury emissions—are relatively weak, creating a situation where overall global mercury pollution may continue to climb despite the global agreement. For more analysis on the treaty see HCWH Views on the Global Mercury Treaty.